The Super Eagles will fly to Malawi on chartered flight for a World Cup tie in June to ensure nothing is taken for granted, officials has said. The Flames of Malawi will host Nigeria in a 2014 World Cup qualifier on June 9. According to a top official of the Nigeria Football Federation, there plans to get another chartered flight for the World Cup qualifier in Malawi. In February, the NFF also chartered a flight that set them back by as much as $180,000 (about 29 million Naira) for the team’s 2013 Africa Cup of Nations qualifier in Rwanda. 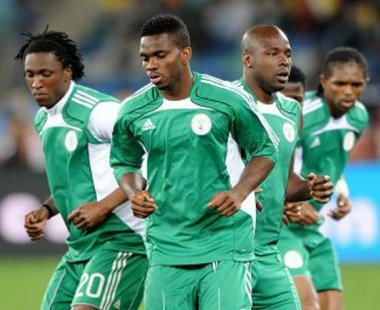 The Eagles flew on special flights for 2012 Nations Cup qualifiers in Ethiopia and Madagascar. Officials also said that plans are afoot to send an advanced party to Malawi before the World Cup qualifier. In March 2003, Nigeria beat Malawi 1-0 in Blantyre in a 2004 Africa Cup of Nations qualifying match. The Eagles also won the reverse fixture 4-1 in Abuja in June 2003. Namibia and Kenya are the other teams in Nigeria’s 2014 World Cup qualifying group.